To define Project Management Professional (PMP in simple language, one can say that it is an important designation having an international reputation throughout industries worldwide. The Project Management Institute is the apex body which offers this certification. You can find PMIs in around 204 countries and according to an estimate; about seven hundred million people have already been certified with PMP. Passed secondary examination from a recognized High School or should have a diploma equivalent to it. All the formal training and education is provided at Project Management Institute. Candidates who are not able to fulfil the eligibility for PMP can opt for Certified Associate in Project Management (CAPM) at PMI. The verification process is done online. It must be remembered at this juncture that in order to uphold the PMP certification, the candidate has to get sixty Professional Development Units (PDUs) within the three-year course. It involves a number of tasks such as to research and write articles, expressing your thoughts on issues related to project management. All this is referred to as Continuous Credential Requirements (CCRs). You can also receive PDUs by formal academic courses. Recently, on 1st December 2015, the CCRs have been updated comprising of information about employer-identified skills. Biggest priority is given to implementation, around 31%. There will be about 200 Multiple Choice Questions (MCQs) in the exam related to PMP codes and ethics. Therefore, if you want to prepare for the exam, there are reference books available. The most authentic one is ‘A Guide to the Project Management Body of Knowledge.’ The book contains relevant information on each step of the project management process. As a project manager, it is important to update oneself with these vital aspects of project management including project scope management, project integration management, project cost management and project quality management, human resource management, risks, communication, procurement and stakeholder system. After attaining the Project Management Certificate, you can find jobs in various sectors such as Government, IT companies, commercial organizations etc that employ certified project managers to handle different projects and also complete them successfully. In fact, you will be pleased to know that PMP certification has been ranked as number one certification program by CIO. According to the candidates undertaking the PMP exam, the most challenging portions are quality management, integration management, and time management. Item writing can be considered to be a part of the Project Management Professional Certification program. It is usually a part of the multiple choice questions The purpose of inclusion is to identify contents and references thereby confirming the accuracy. However, those preparing the course and writing books on PMP are exempted from item writing. Remain Ahead of Competitors with PMP certificate – The PMP certification program has certainly got a standardized value which helps in putting candidates ahead of their competitors when applying for the job. Skilled Knowledge on Project Management – The PMI offers comprehensive knowledge on various stages of project management right from beginning to the end. You can utilize your sound knowledge to boost the profit of your company. Getting Handsomely Paid – As a project manager, you can be sure of getting a good starting salary right from your first job. Your pay will definitely increase with the amount of experience you gain. Improving your project performance – Another added benefit of the PMP certificate is that it always helps in improving your performance as a project manager. You can handle more difficult projects. Offers Better Job Opportunities – You can be sure of one aspect after availing the PMP certificate which is getting better job offers. Literary speaking Agile means to be alert and responsive. Therefore, to gain these qualities for a Certified Agile Project Manager, choose the Agile Project Management Program offered by Project Management Association in collaboration with DSDM Consortium. An experience of about 2000 hours on working general projects with the team; plus a PMP or PgMP certificate is also needed. In addition, you also should have a work experience of 1500 hours based on agile project teams or techniques. You should have practiced agile for at least 21 contact hours. As is evident from the name, the Foundation level of the Agile PM emphasizes on the basics or the core elements related to the project management. It will teach you what the procedure to ease out any given task allowing suppleness. It will not only help the fresher candidates to deal with various projects but even the experienced project managers and show the perception of the project productivity. The next is the practitioner level. This is a more advanced level wherein you get a deep and sound knowledge of not only the certificate program but also learn the techniques of implementing them successfully while doing a project. It is very important to grasp the methodologies as it will help you on a regular basis. A certification of the Foundation level showing either the 2014 or the 2010 version. There has been a change in the format of the examination in both the foundation as well as the practitioner levels. First let us see the foundation level. The comparison between the 2014 exams aligned to Handbook v2.0 and 2010 exams aligned to Handbook v1.2 will make the things clear. 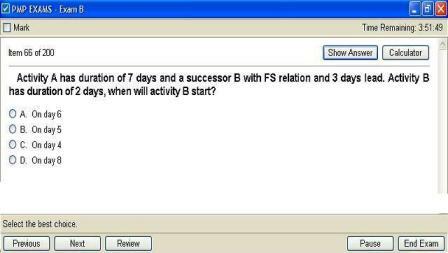 A candidate has to attend 50 questions in 2014 format while there were 60 questions in the 2010 pattern. However, the pass percentage is the same. The qualifying marks have also been increased from twenty-five to thirty in the new format. Another significant difference is that the time allotted for completing the examination has been reduced from one hour to forty minutes. In the 2010 version, there was a total of 60 questions out of which a candidate required to get thirty to pass the exam. However, in 2014 format, the number of questions has been raised to eighty and candidate needs to get forty to pass the exam. Like the foundation level, the duration of the exam has been reduced from 150 minutes to 120 minutes. The number of questions per paper remains the same but the marking of each question has been increased from fifteen to twenty. Both versions have Opened Book (only for official manual) and objective testing. Enhance your Knowledge about Project Managers – This unique program has been designed for all the project managers including those serving the IT industry. If you have Agile Certification, you can stand apart from the rest of the job seekers and enrich your resume or CV which will create a lot of difference. Boosts your calibre as a project manager – The Project Management Agile Certification sets up a benchmark that you have the capability and potential to cope with different types of project management as a professional being. It increases your self-confidence and also strengths the company’s trust in you. Increases chance of promotion and high pay – The Agile Certificate also increases your chance of promotion and also provides a wonderful opportunity to get high salary as an Agile Project Manager. The promotion will depend on your experience and understanding of the methodology. After much discussion on both the project management programs, you must be pondering over the obvious question; the right selection between PMP and Agile. According to a study, it was found that PMP was at its peak until the year 2008 but has suffered a downfall in the recent times. On the other hand, the graph rate of Agile Certification started going upwards since the year 2009. But even then it is suggested that you should opt for the PMP certificate program if you want to become a project manager. It is extremely popular in countries like India. 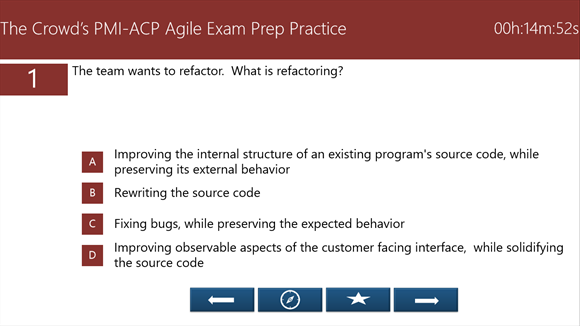 As for the Agile certification, although it has shown some growth but still a lot has to be covered. You have to learn about more techniques when opting for the agile specifically in the software development area. Lastly, it can be said that both certifications have various benefits and so you can pursue both as per your will. I liked this article, however I don’t equivilate project management to Agile. I believe these are two different things. Project management is the oversight of the project itself. While Agile can be the methodology used for the project. This may be overkill, but I would do both. Thanks for this insightful information! I took my PMP exam and passed and my life changed, now I have a very very high salary and many perks. 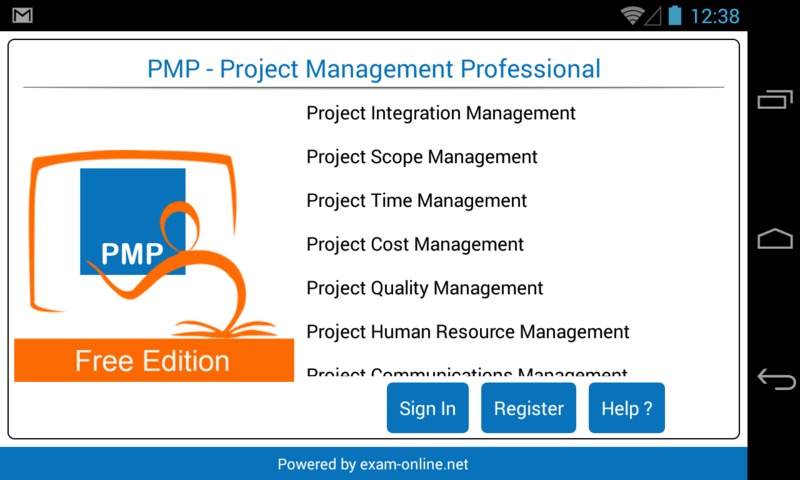 So, do not hesitate to take the PMP, it is hard but it worth.